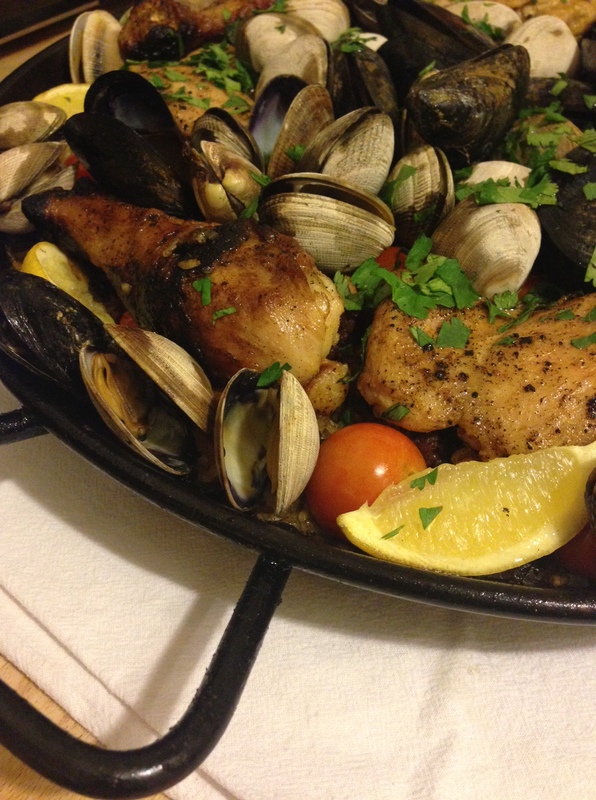 Mr. MVP and I have made a seafood paella before and now we’ve got a great version with chicken and chorizo. Biggest way this differs from most recipes is that we use tomatoes instead of peppers. Salt chicken and cut chorizo into 1-inch pieces, then set aside meat before lighting the wood-fired grill. 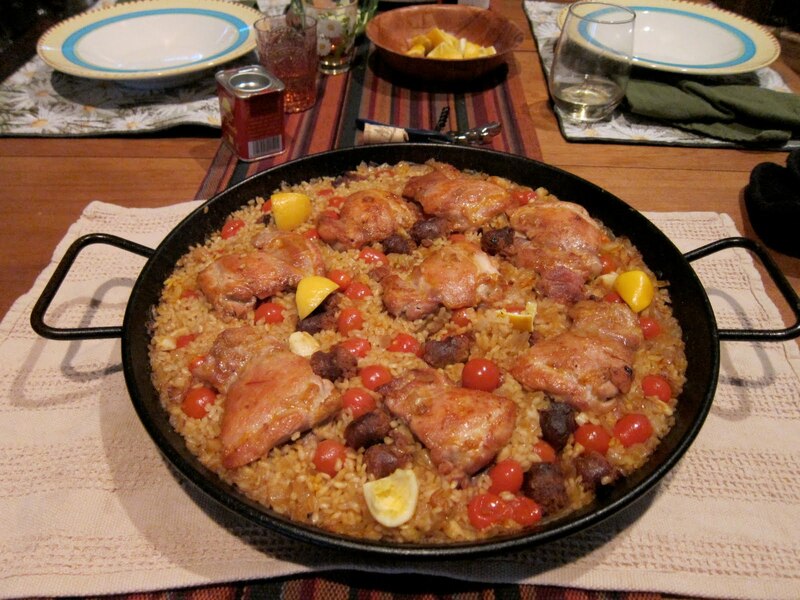 Heat the olive oil in the paella pan over the grill and brown the chicken and chorizo. Remove meat from the pan and set aside. Add the onion, chili pepper, and garlic to the pan and stir gently, letting them soften and lightly brown. Add the rice and stir it in the pan as the color changes slightly, cooking for 4-7 minutes. (Note: no more stirring from this point on.) Add the stock and spices and let it simmer until it looks like more than half the stock has been absorbed. Add the tomatoes and half the lemon wedges and cook for another 5 minutes. Add the meat and cook for another 5 minutes with the top down, to pick up smoke flavor from the grill. (If you’re adding clams and/or mussels, add them now and let them steam open.) Serve with the remaining lemon wedges and parsley sprinkled on top. gotta make this. you two are so freaking cute.